I will say it again and again and again. The best way to grow vegetables is in raised beds. 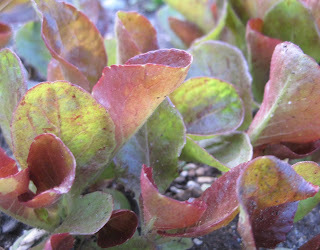 Once you’ve set the bed up, you won’t have to wait each spring for conditions to be “just right” to till up the garden. You can just waltz out to the garden in the early spring, rake the bed up a little bit and sow seeds for peas, lettuce, spinach, and radishes. Then before you know it, it’s time to harvest. First to be picked from my vegetable garden is Spinach ‘Pelican’, shown above. It looks good, and I’ll bet it is. I sowed the seeds for it on March 17th, along with the seeds for Spinach ‘Bordeaux', which looks much the same but has red stems. A week later, on March 23rd, I sowed seeds for several varieties of lettuce, including ‘Marvel of Four Seasons’. In the next few days, I'll thin out the lettuce and pick some spinach, too, for a tasty salad that is all you could dream of in a salad...fresh, crisp, and even a bit on the sweet side. 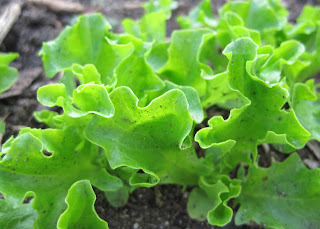 Then this weekend I’ll sow more lettuce seeds to extend the lettuce harvest as far into summer as I can before it gets too hot for lettuce. Yes, the moon is waxing now, favorable for sowing seeds for above ground crops. The vegetable garden is still my favorite garden and I plan to spend a lot of time out there this summer as the rest of the garden gets made over with the new garden design. Then this fall, I’m hoping to change up the vegetable garden, too, using the “keyhole” concept to increase the actual planting areas without enlarging the overall garden. In the meantime, I'll say it again. Raised beds is the best way to grow vegetables, and it isn’t too late to start your own vegetable garden this spring with a raised bed or two or ten. We added a raised bed to our vegetable garden this year and I can't wait to see how it does. Your garden was definitely an inspiration in taking the plunge! I enjoy following your veggie garden posts. 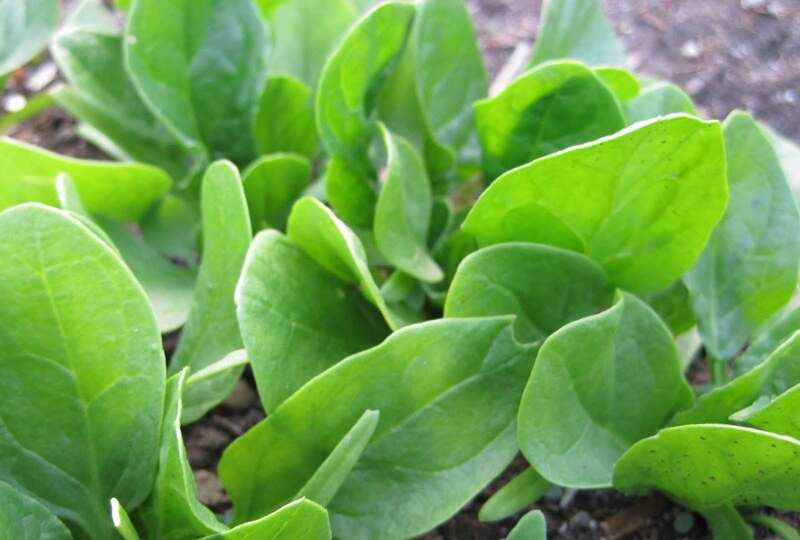 The lettuce and spinach seeds I sowed about the same time as you have not grown well. We had a cold snap for nearly 2 weeks beginning of April. Boo! However, the snow peas are beginning to move about so I'm hopeful that I'll get something out of my early planting. I do look forward to your posts and this is all a new learning process for me. The easiest garden I ever grew was in table-top height raised beds with automatic soaker hoses for irrigation. I planted, fertilized, and harvested--so much better than constant weeding, tilling, etc. I agree, raissed beds are the way to go. I have done large garden, small garden, but nothing was so productive for such a small space as the raised bed. This year I am experimenting with layering. I grew a pot of lettuce this spring. It was easy as could be. It's not a raised bed, but I've started a new Spring Garden/Early Garden right in front of my house in bright southern sunlight, on very well drained soil (newly refurbished a la the lasagna method) and protected from our winds. Spinach and lettuce seedlings are up - but no where at the stage yours are. See, I don't like my raised bed nearly as much as growing directly in the ground (of course, with much-improved soil). I must be a weird anomaly. My raised bed is pitifully unproductive compared to the ground-level beds, and it even got the best of the compost and everything.